I have been wanting to try soap nuts for a long long time. The other day I finally was able to do so and I’m so glad I did. It not only worked much better than I thought, but after doing some research, I realized how versatile these little berries are. After sharing with I found with some friends, very few of them knew what they were. Have you heard about them before? If not, read below. If so skip to the recipe part. 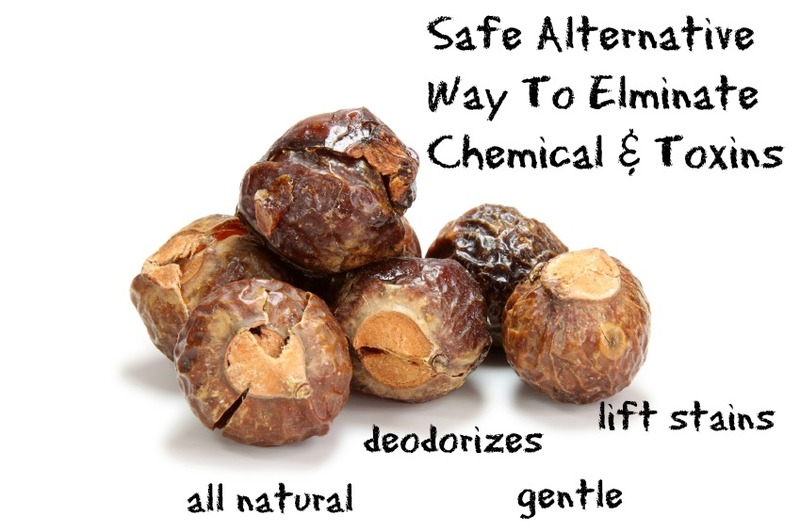 For those of you who haven’t soap nuts are actually berries found that when combined with water, produces a natural soap called saponin that helps clean, deodorizes, & lift stains. I’ve always been allergic to all the laundry & body soaps out there. They make me itch insanely, which makes me very uncomfortable. When I stumbled upon soap nuts, I knew it was something I had to try. And boy am I glad I did. *This liquid then can be used to make household cleaner, facial cleansers, shampoo, soap etc. By using soap nuts for all these different things around the house, you can save a lot of money by simply using soap nuts as much as possible. You won’t have to buy any of products that contain harmful chemicals, instead you can clean the house, yourself, & your clothes naturally. The whole nut/shell, which is good for laundry. Liquid, which you can learn how to make in this post. It’s this form that’s handiest for most soap nut uses. Paste, which is basically running the boiled soap nuts through a food processor. This is good for shaving cream and heavy-duty cleaning jobs. To get you started, I searched the web & come across 10 great recipes for you to try. All recipes taken from Crunchy Betty. Combine all ingredients in a spray bottle and shake well. Use as you would any glass cleaner. This doesn’t streak, and it’s also really great for windows/glass that are particularly messy (like toothpaste splatters or mud on the outside of windows). Combine everything in a small bowl or spray bottle, and use as you would a kitchen or bathroom cleaner. Stir everything together well, breaking up any clumps. You should have a thickish paste, which you can add more liquid to, if you’d like it thinner. Scoop out a bit of the paste with your sponge and clean your bathroom counters/tub/toilet with it. If you have any remaining, drop it in the toilet and use the toilet brush to clean the bowl well. Mix everything together in a small pump bottle and use as you would any hand soap. Alternatively, you could just wash your hands with a little bit of soap nut liquid, but adding this all together will give more cleansing power, and mixing the essential oils and castille soap in with the soap nut liquid will prolong the life of the liquid. Mix the two ingredients together and place jewelry into the liquid. Allow the jewelry to sit for 15-20 minutes. With a small toothbrush, gently scrub your jewelry clean. Sparkly! Pre-Wash: Mix together 1 Tbsp soap nuts liquid with 3 Tbsp coconut oil. Massage into scalp for a few minutes. Let sit for 15-20 minutes. Mix the above ingredients together, and use as you would shampoo. If you do the coconut oil scalp treatment beforehand, there should be no reason to use conditioner after shampooing. Repeat three times a week until dandruff is gone. Rinse your face with warm water. On a clean, damp washcloth, pour a tablespoon or so of soap nuts liquid. Gently scrub your face with the washcloth and rinse well. Alternatively: And this is the way I’m really enjoying the soap nuts liquid at the moment. Mix the two things together in a small bowl. Rinse your face well with warm water, and then gently scrub the mixture onto your face for 2-3 minutes. Rinse well with warm water and finish up with moisturizer. Stir everything together well and massage into freshly washed feet, concentrating on the effective area. Apply socks. Do not rinse off. After pitting and removing the hulls around the pits (as well as any “harder” chunks of the boiled soap nuts flesh), put the flesh into your food processor and turn it on. After the flesh has become a paste, dribble in the olive oil and liquid. Watch out! The paste starts to foam A LOT. Shave immediately after making. As you can read, there is so much you can do with these little berries, which is how you can save lots of money. You can do so much with so little, it’s definitely worth your money & time. Have you tried them before or is this a new product for you? Would you try them, now knowing about an alternative to what’s out there?